We're Less Than A Week Away From The 2018 CIGO Summit! We’ll be featuring panels which detail how organizations like yours have tackled their own Information Governance challenges. The 2018 CIGO Summit comes at a time of significant evolution – and revolution – in the field of Information Governance, making the CIGO role now more important than ever. At this time of change, speakers at this year’s conference will be presenting topics which reflect the changing landscape we find ourselves operating in, as well as providing much-needed direction and best-practice examples. 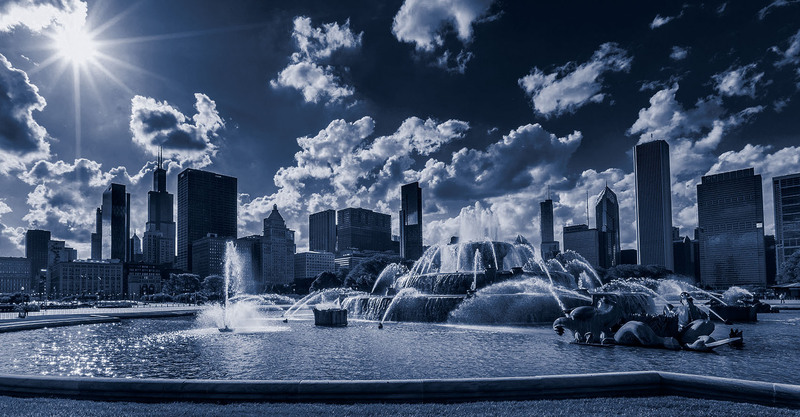 Attendees at the CIGO Summit on May 9 and May 10 in Chicago will be able to participate in a variety of sessions, a few of which we detail here. The third annual CIGO Summit will be kicked off by Barclay T Blair, Founder and Executive Director - Information Governance Initiative, who will be presenting the key results from last year's survey, with a focus on information leadership and identifying market and professional trends year over year. An all-star panel featuring Aaron Crews, Bennett B. Borden, Jason R. Baron, and Priya Keshav will be considering IG Leadership in a time of transformation. Their conversation will span robots, blockchains, and IoT devices – oh my! The aim of the session is to help all IG professionals to ride the disruption and seize the game-changing opportunities these transformative trends present. Chief Data Scientist / Chair of Information Governance and eDiscovery Practice at Drinker Biddle & Reath, Bennett B. Borden, will be presenting an insights-packed session with Kady Von Schoeler, Assistant Vice President & Counsel at ‎MassMutual Financial Group, about its project-based approach to establishing an IG program. As well as considering program funding, they’ll be pinpointing what metrics the firm is using to measure outcomes. Michael Potters, a recruiter and developer of talent in the IG market, will share his insights on a critical problem that many CIGOs and information leaders currently face: how to build their IG team. Finding talent is not easy. Leaders need to get creative in sourcing talent and how they structure their team. In conjunction with Barclay T. Blair, Michael will be sharing what he has learned in helping his clients find talent and build IG teams. These are just a few of the sessions that the 2018 CIGO Summit program has to offer. The two-day event is packed with thought-provoking topics – all delivered through a uniquely engaging format which prioritizes contributions from the floor. This format has been developed to enable senior IG colleagues to share real-world insights for maximum learning and facilitating practical and important take-aways for all guests. For more information, to register, and to see the full line-up of speakers and topics, please click here. *Please note: The CIGO Summit is a private, by-invitation-only event for senior IG practitioners. Providers of IG products and services may not register. The registration function below indicates that you will be put on a “Waitlist” whereby we will review your registration and contact you within 24 hours. The Information Governance Initiative (IGI) is a think tank and community dedicated to advancing the adoption of IG practices and technologies through research, events, advocacy and peer-to-peer networking. We are dedicated to the professionalization of IG and have called for the creation of a new kind of information leader called the Chief Information Governance Officer. Our State of IG Report has become an industry standard reference guide for organizations benchmarking and building their IG programs. The IGI Community is where thousands of practitioners from cybersecurity, IT, analytics, privacy, legal, records management and the other facets of IG come together and learn from each other. We produce hands-on educational workshops and executive roundtables each year. The IGI was founded by recognized leaders in the field of IG, and is supported by leading providers of IG products and services. Copyright © 2017 Information Governance Initiative, All rights reserved. You received this email because you are subscribed to Event Invite from Information Governance Initiative.